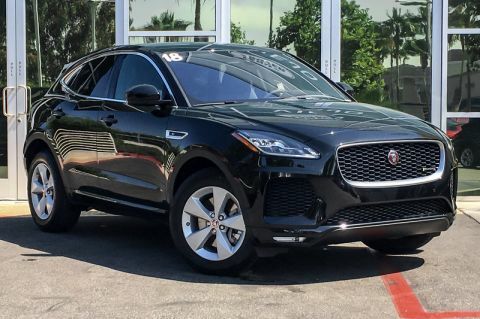 Contact Hornburg Santa Monica today for information on dozens of vehicles like this 2018 Jaguar E-PACE . This Jaguar includes: 2 ADDITIONAL POWER SOCKETS MP3 Player WHEELS: 19 5 SPOKE Aluminum Wheels SANTORINI BLACK METALLIC KEYLESS ENTRY Keyless Start Power Door Locks Keyless Entry COLD CLIMATE PACKAGE Heated Steering Wheel Leather Steering Wheel EBONY/EBONY, WINDSOR LEATHER SEAT TRIM Seat Memory Power Passenger Seat Power Driver Seat Passenger Adjustable Lumbar Leather Seats Driver Adjustable Lumbar SIRIUSXM SATELLITE RADIO HD Radio Satellite Radio INTERACTIVE DRIVER DISPLAY CHROME SIDE WINDOW SURROUND HOMELINK GARAGE DOOR OPENER Universal Garage Door Opener FIXED PANORAMIC ROOF Generic Sun/Moonroof Sun/Moonroof Dual Moonroof 18-WAY HEATED MEMORY FRONT Heated Rear Seat(s) Mirror Memory Seat Memory Power Passenger Seat Power Driver Seat Heated Front Seat(s) Passenger Adjustable Lumbar Driver Adjustable Lumbar *Note - For third party subscriptions or services, please contact the dealer for more information. * Want more room? Want more style? This Jaguar E-PACE is the vehicle for you. You appreciate the finer things in life, the vehicle you drive should not be the exception. Style, performance, sophistication is in a class of its own with this stunning Jaguar E-PACE. This vehicle has an added performance bonus: AWD. It improves handling on those winding back roads, and gives you added safety and control when driving through wet and snow weather conditions. Added comfort with contemporary style is the leather interior to heighten the quality and craftsmanship for the Jaguar E-PACE This Jaguar E-PACE is equipped with navigation, so you no longer have to wonder if you're headed in the right direction. 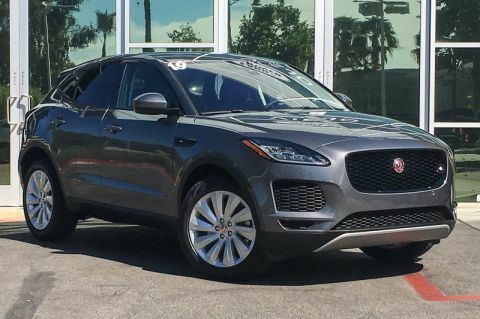 Contact Hornburg Santa Monica today for information on dozens of vehicles like this 2018 Jaguar E-PACE . This Jaguar E-PACE is equipped with navigation, so you no longer have to wonder if you're headed in the right direction.